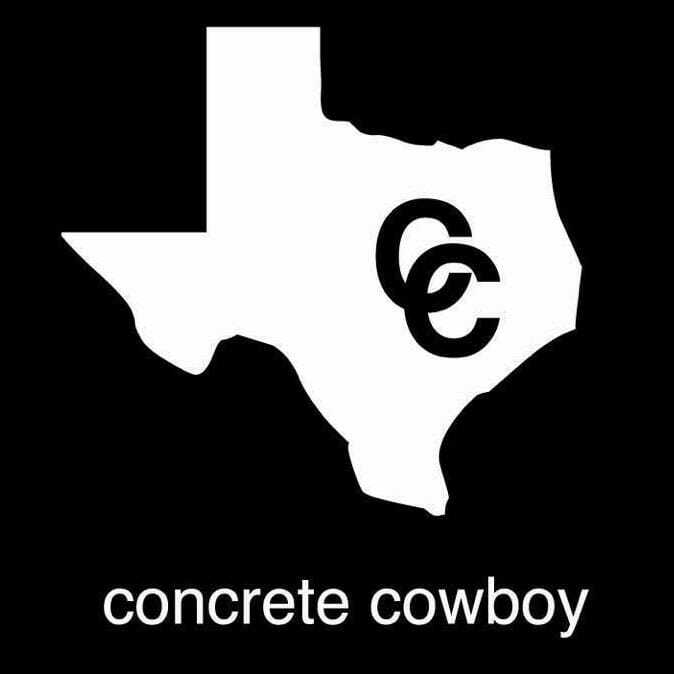 Concrete Cowboy had continual issues with the bottle service table groups invading each others space due their prior layout. 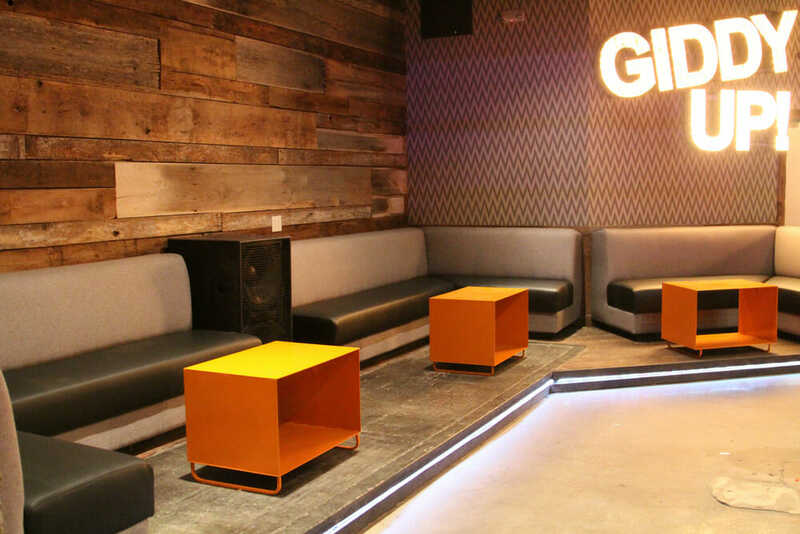 The Clutch Group hired Lion Craft to redesign the layout of their booths and overall surrounding indoor area. 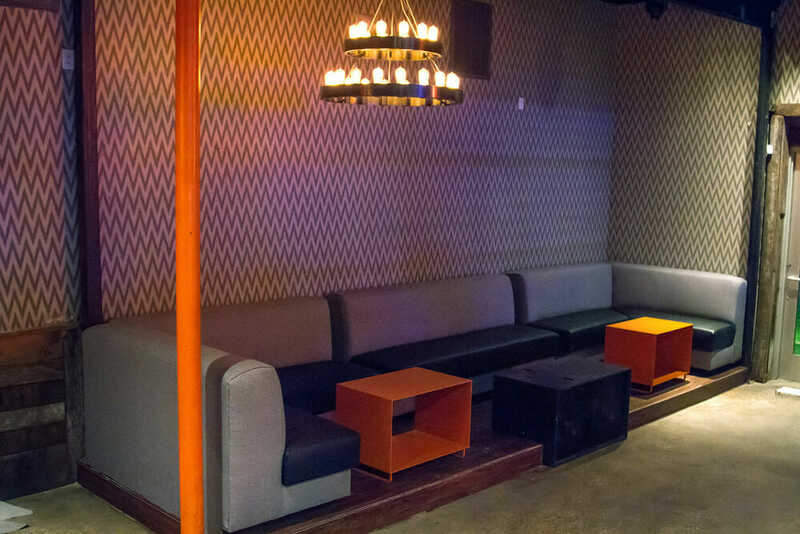 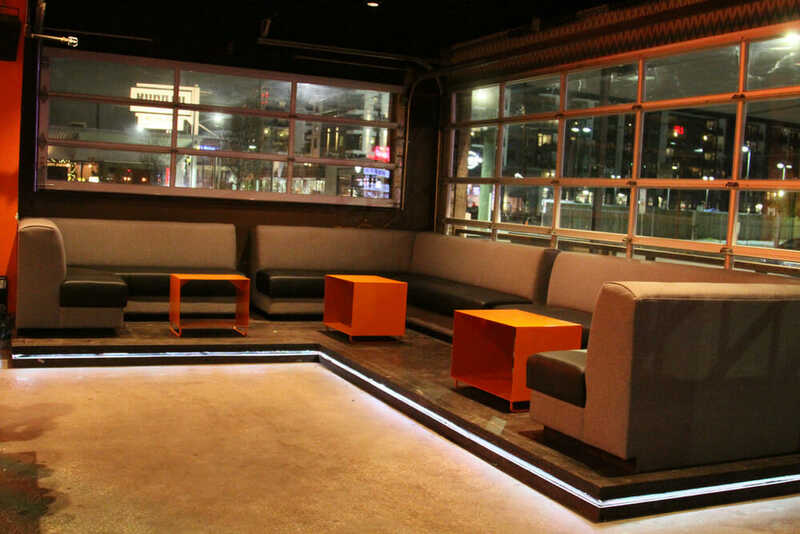 In addition to revising the layout to giving each group a more private dedicated area, we revamped the booths to allow them for a nightclub setting by giving a comfortable and supportive cushion to allow people to stand on along with reinforced thicker and deeper backs to allow guests to comfortably sit atop the booths to get a higher view of the dance floor below. 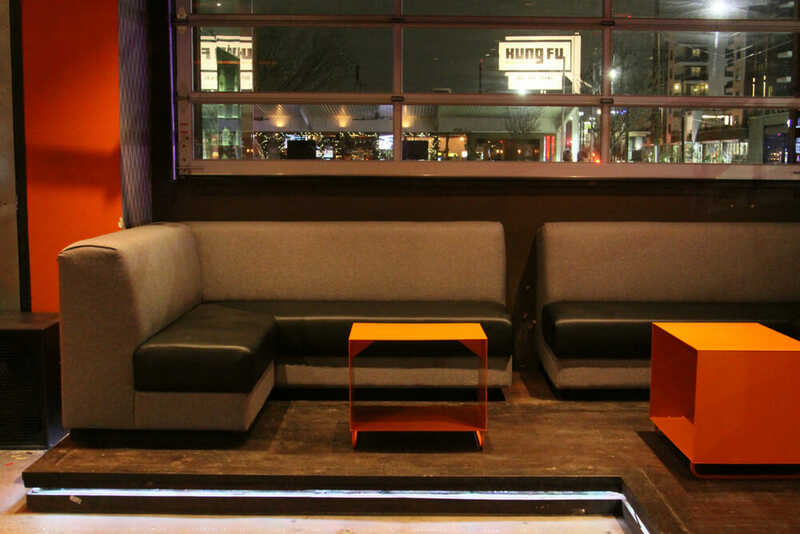 Lion Craft suggested water resistant fabric to ensure spilled drinks would not damage or stain the booths. 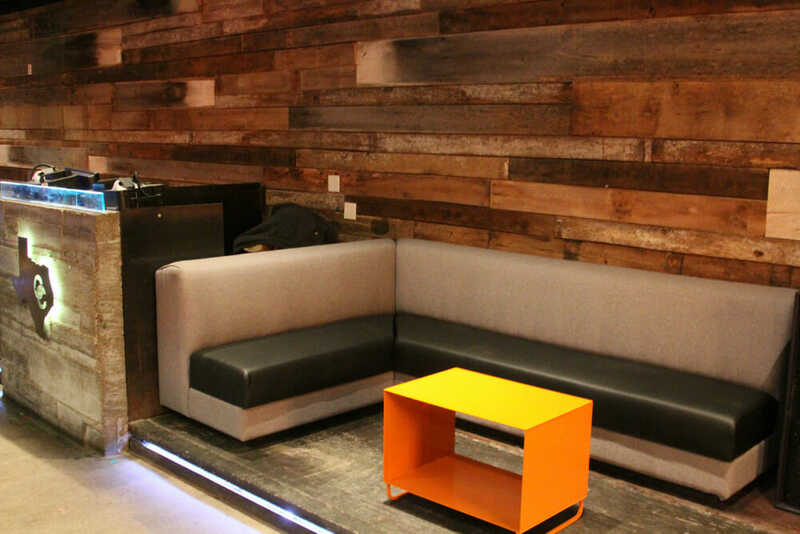 The additional suggestion of Lion Craft was to differentiate the tables to add more color while matching the existing color scheme, so had all the table powder coated with a texture and color similar to an orange peel. 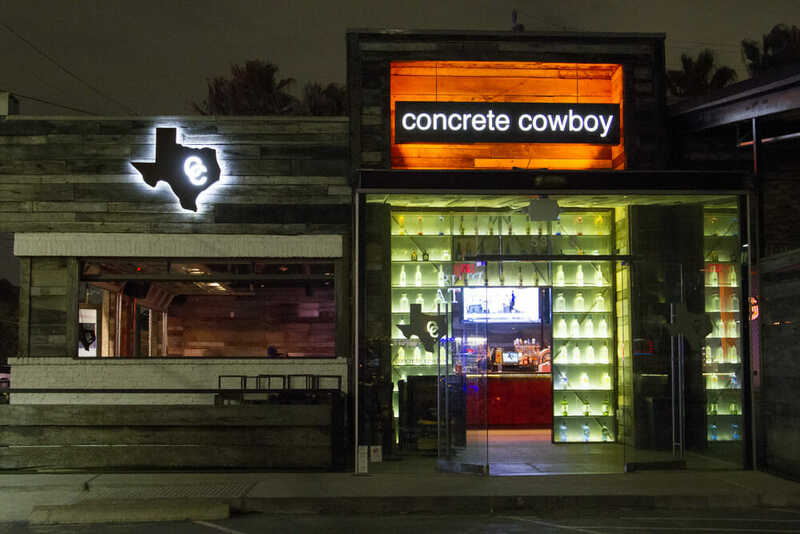 The Lion Craft crew drove out to Houston from Phoenix over a week span to do the Concrete Cowboy and Clutch remodels within a 1 week span in time for the Clutch 1 Year Anniversary.